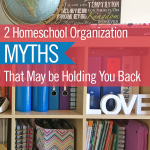 I read this article and wanted to share it with you: Two Homeschool Organization Myths That May be Holding You Back https://blog.sonlight.com/homeschool-organization-myths.html. Homeschool organization is my jam because the more organized my homeschool is, the less time and money I waste. First, I don't waste time looking for things because I know exactly where they are. Second, I don't waste money buying again what I already have but can't find. An organized space is not only good for the eyes but also good for the heart—at least it is for me. I confess that I am happier and calmer when everything is in its place. But just because I love organization and have lots of ideas, that doesn’t mean there is a right and wrong about how to store books and supplies. 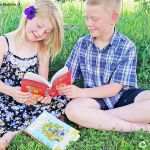 Whatever works well for you and your family is the perfect way to organize your homeschool. 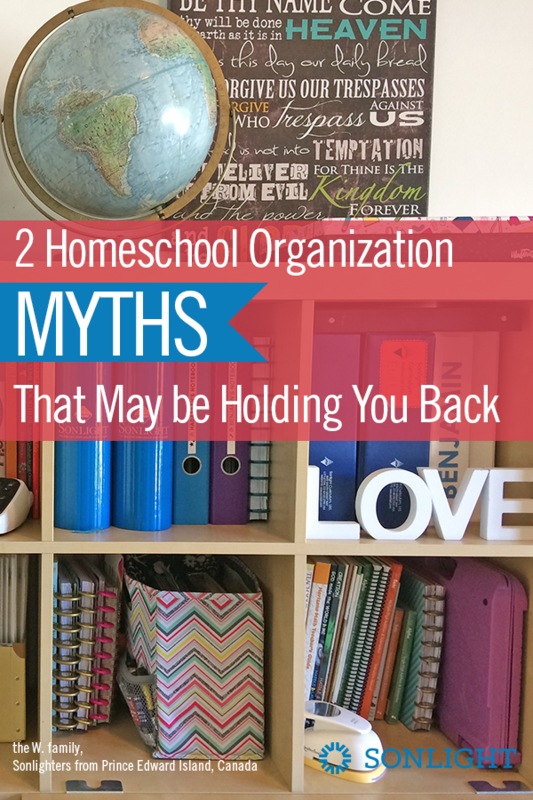 Despite that flexibility, I have noticed two big myths that many moms hold about homeschool organization. Because they believe these myths, they think they are doomed to clutter and a disorderly learning environment. Wrong! 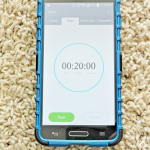 I’m here to bust these myths and encourage you (if you do want to be more organized). 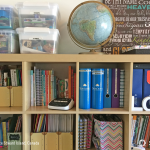 Homeschool Organization Myth #1: You need a homeschool room to be organized. Once upon a time, I thought the only way to organize and store all my homeschool stuff was by having a room devoted solely to homeschool. I actually had my husband make our basement into a gorgeous homeschool room two years ago. It was spacious with plenty of room for all of our books, posters, maps, manipulatives, games, and supplies. It was a homeschool mom's dream come true. 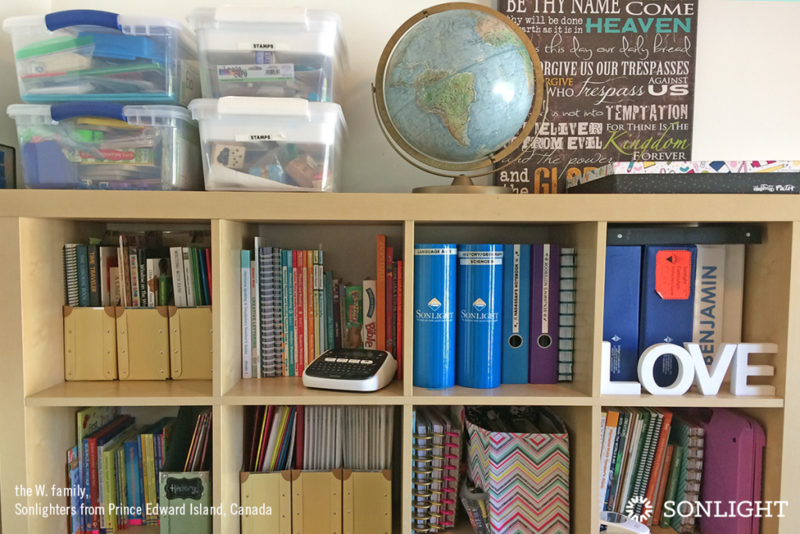 The organization in our homeschool room was impeccable, but we just couldn't get comfortable enough in it. I had too many unused resources on hand. We were far more comfortable homeschooling around our dining room table and our living room couch. Little by little, what we used daily in our homeschool ended up back in our dining room instead of our fancy homeschool basement! 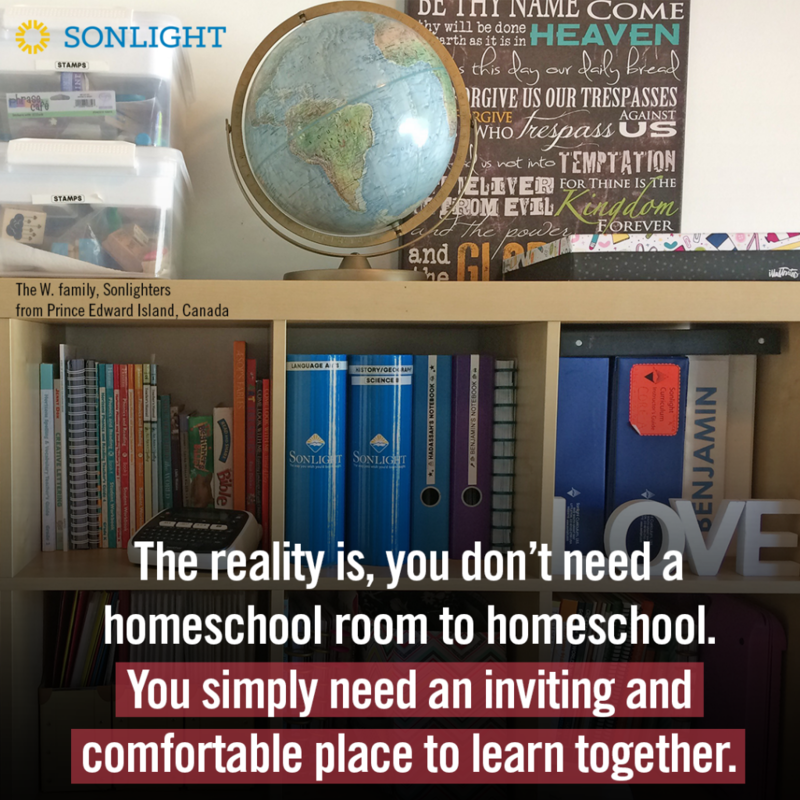 The reality is, you don’t need a homeschool room to homeschool. You simply need an inviting and comfortable place to learn together. If you have too many things to store, maybe it’s time to get rid of your homeschool clutter. Evaluate what you are really using (in practice not in imagination), and keep that. The rest may need to be donated, put in long-term storage, or thrown away. Yes, we all accumulate homeschool clutter. Then we get attached to our books, can’t part with them, and just keep accumulating more and more. I'm guilty too! But it helped me stay organized when I chose to keep only what we truly need and get rid of what we don’t. We use our library card more, save money, have more space, and even make some money selling what we don’t need. This year, I have made around $300 selling unused homeschool books and resources. Truth is, the less you have, the more organized you can be. Homeschool Organization Myth #2: You need a lot of money to organize your homeschool. No, you don't. Rest assured that you can organize your homeschool beautifully with very little. Dollar stores are great places to find affordable homeschool organization solutions. But before you hit the stores to shop for new things, walk around your house and look for containers you can repurpose to organize your homeschool space. I had a lot of Mason jars in my cupboards and a few spare baskets in closets that I am now using to neatly store homeschool supplies. If you are an artsy or DIY kind of person, you can search for projects on Pinterest such as how to turn cereal boxes into magazine holders or how to make beautiful kids' bookcases using pallets. But if you are not so crafty, like me, just hit the dollar stores, craft stores, thrift stores, or even check craigslist to find what you will need. A homeschool space needs to be practical more than it needs to be beautiful. If the recycled boxes work just as well as the fancy metal bins, who cares? You don't need a huge budget for homeschool organization. You simply need to think creatively about how to repurpose what you do have or what you can find cheaply. The bins may not all match a Pinterest perfect color scheme, but if they keep the clutter where you can find it when you need it, then you are on the way to an organized homeschool. You can do this! 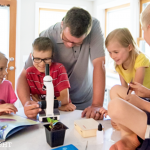 You don't need a homeschool room and you don't need a ton of cash to organize your homeschool room. 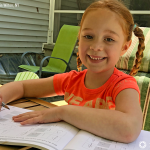 Imagine a more organized homeschool, starting with your weekly plans. Try three weeks of any Sonlight Instructor's Guide for free. Click here to get one for any level, preschool through twelfth grade.